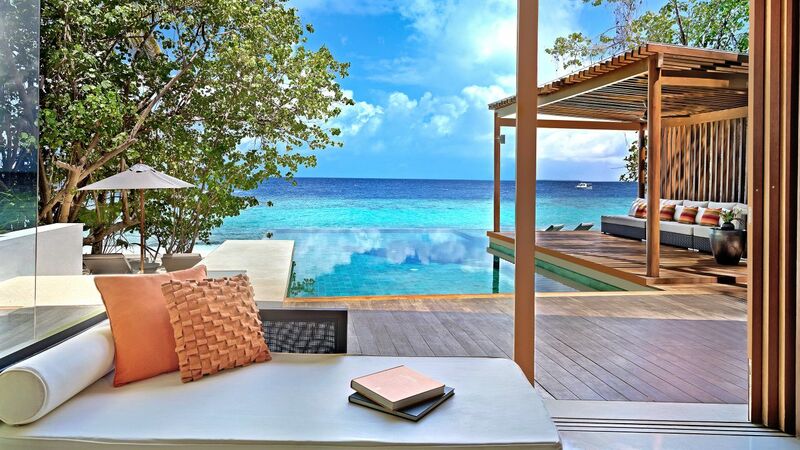 Our luxe resort features 50 villas-36 on land and 14 over the ocean. Whether nestled within the island’s tropical greenery or elevated above the water, our villas are steps away from an idyllic beachfront, giving you direct access to this area or the house reef. All spaces feature floor-to-ceiling windows and doors that lead to a private deck, with some villas inclusive of a private plunge pool. Feel at home in our 300 sq m villa fitted with a king size bed and a private outdoor terrazzo bathtub and rain shower area. Also includes a second bedroom at 44 sq m, fitted with two single beds and a separate bathroom. 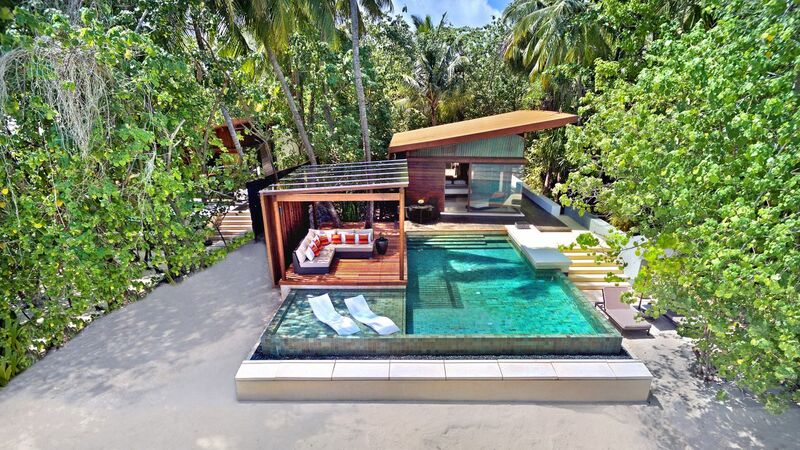 The villa features large pool with semi-submerged sun beds, outdoor bale/cabana. Set your sights on breathtaking, panoramic views of the Indian Ocean, perched above the water in your own private 115 sqm villa. 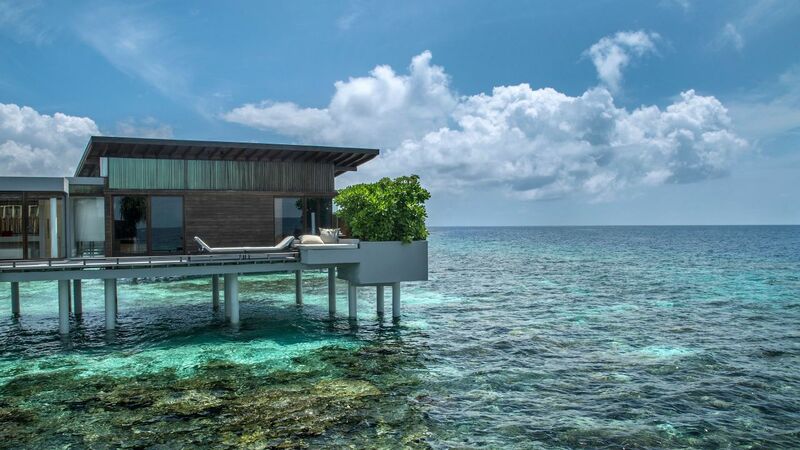 Indulge in nature’s unrivaled beauty, gazing into a panoramic sunset from a suite constructed with native Maldivian timber and stone, boasting floor-to-ceiling windows and a king size bed. Relax under the stars on your own private deck with plunge pool and outdoor bale / cabana as you take in the full Maldivian experience. 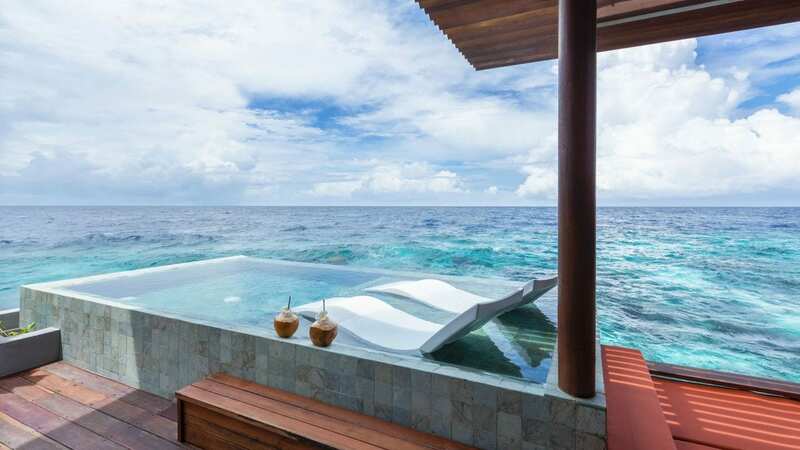 Unwind in our 115 sq m water villas with 180° views of the ocean, features a king bed, indoor bathtub, sun deck with daybed and direct access to the house reef. 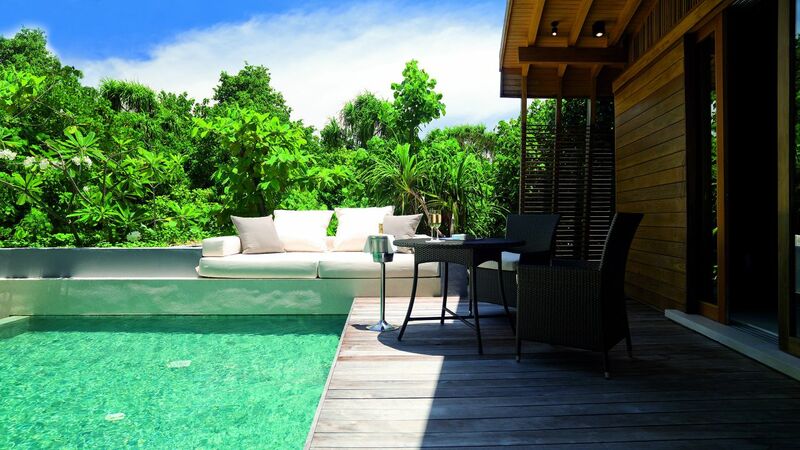 Relax in our 265 sq m villa featuring a large pool with semi-submerged sun beds, outdoor bale/cabana, a king size bed and a private outdoor terrazzo bathtub and rain shower area. 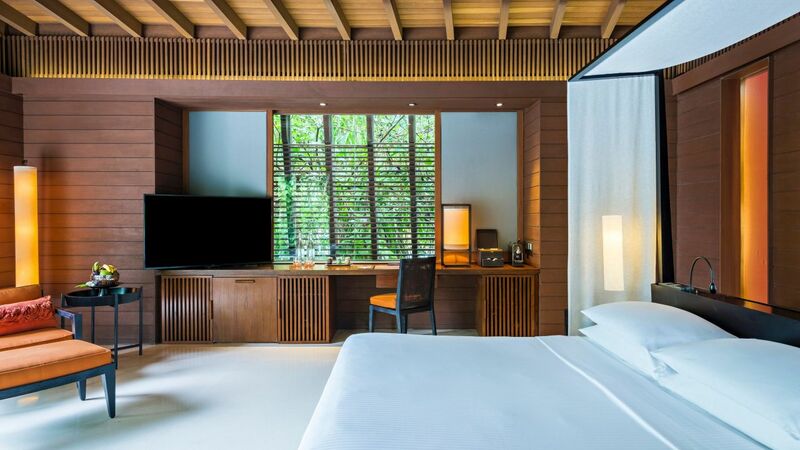 Our 180 sq m villas are fitted with a king bed, chaise lounge overlooking a private plunge pool and deck, indoor and outdoor shower area with terrazzo bathtub and rain shower area with direct beach access. 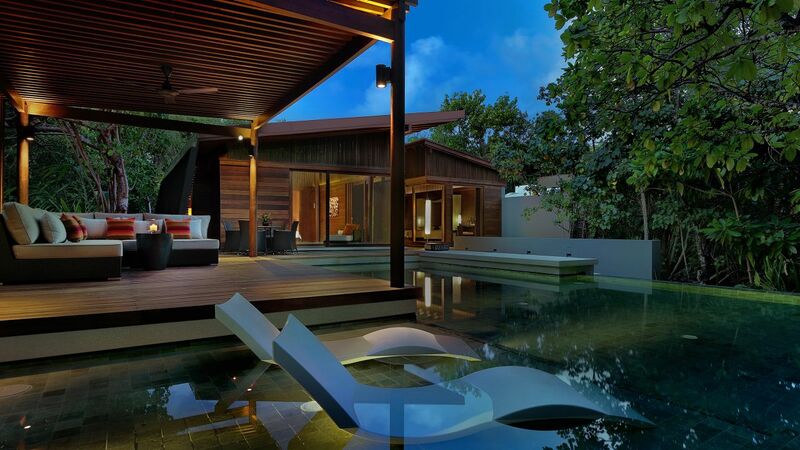 Our 165 sq m villas features a king bed with chaise lounge, private deck with table and chairs, sunbeds, indoor and outdoor shower area with terrazzo bathtub and rain shower area with direct beach access.